Ask a Wine Lover: What's Your Favorite Junk Food Pairing? There are many well-known, high-brow wine and food pairings like Champagne and caviar, Sauternes and foie gras, and Cabernet Sauvignon and steak. They're timeless, but which do you eat more often: caviar or pizza? Right, so let's take a look at more plebeian pairing options. 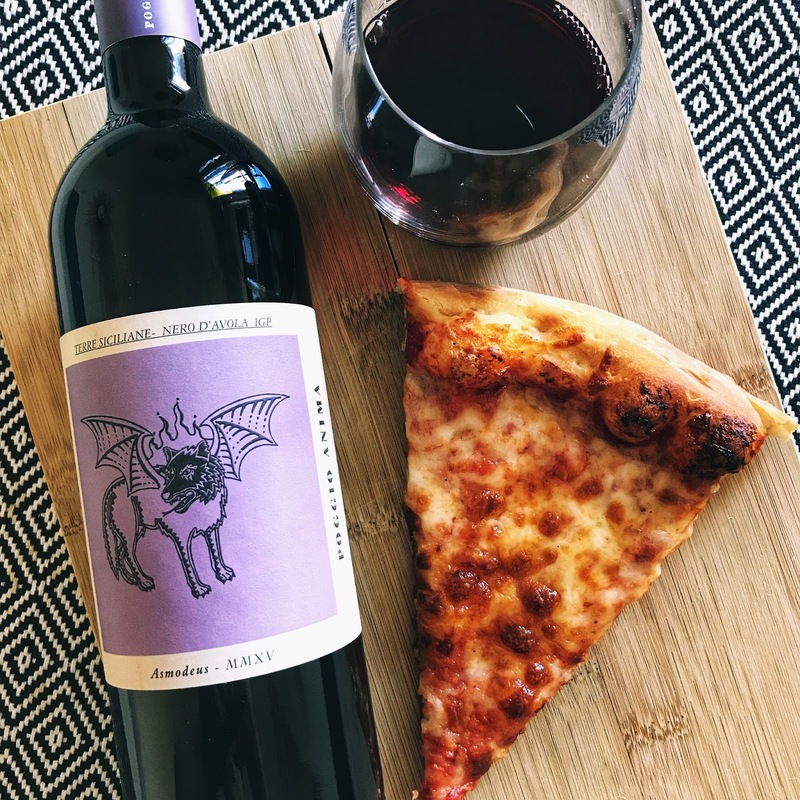 I asked a few of my favorite wine enthusiasts to share their go-to junk food and wine pairings to inspire you to explore fun combos in your day-to-day lives. Who knows, maybe you will discover a new classic among your own guilty pleasures! Nero d'Avola and plain cheese pizza. I know that Barbara is the typical pick for pizza but I prefer Nero d'Avola with it. Especially Poggio Anima's version. It is full of Italian herbs, cherry, and black licorice. The combination reminds me of marinara sauce entrees followed by anise pizzelles for dessert at Christmastime. Pinot Noir and Shake Shack. The competition for The Best Burger in NYC is intense! But for me, Shake Shack is king. The Smoke Shack is my go to. The juicy Pat LeFrieda beef patty topped with melted cheese and a bit of heat from the red peppers gets me every time. I pair it with a can of easy sipping Underwood Pinot. The bright red fruit and high acid cut right through the greasy deliciousness of the burger. It's a perfect match! Dry Rosé and peanut M&M's. 2016 Hermann Wiemer Dry Rosé (Pinot Noir) with Peanut M&M's! This Rosé is jammy, refreshing, and spritzy, with a good zip and medium body. Why the M&M's? The chocolate and peanuts create almost a strawberry and nutella like coating that is incredible! Pedro Ximénez and vanilla ice cream. Pedro Ximénez sherry and vanilla ice cream is great, and a fun one with guests when you take a bottle of wine and just start pouring it over the ice cream. German Riesling or Alsacian Cremant with nachos. There's so many great junk food and wine pairings, but my favorite has to be a whole plate of nachos with cheese, jalapeno, bacon, chicken, and sour cream paired with a mature German Riesling or an Alsacian Cremant. Syrah and beef jerky. The gamey, meaty aromas that Syrah can produce aren't everyone's cup of tea, but I adore them and they match perfectly with beef jerky. I especially enjoy a peppered jerky with Syrah since it can really highlight the varietal's peppercorn notes. Mullineux and Keermont from South Africa are top picks for me, but Domaine de Châteaumar's Cuvée Vincent is an excellent value from the Southern Rhône. Port and Girl Scout cookies. Girl Scout Cookie season is huge in my house! As a teacher, I end up buying way too many boxes than I should, so we end up with enough cookies to survive an Apocalypse! One of my favorite Girl Scout cookies are Tagalongs. Chocolate and peanut butter…is there anything better? I love pairing this with a tawny port. 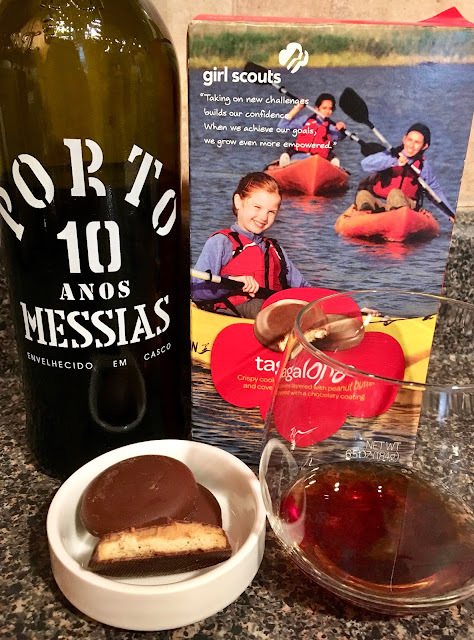 My favorite port to pair is a 10 Year Tawny Messias, which has notes of caramel and berry jam. It’s the ultimate PB&J! Thanks for the pic, Sarah! Nelson, Joaquin, Ben, Jonas, Adam, and Sarah, thank you for contributing! You guys are the best. Hungry for more pairings? Let's talk about cheese. "Know Your Winemaker, Know Your Wine"